Hello Kitty Pop-op Hamper Only $4.63 PLUS FREE Shipping! You are here: Home / Great Deals / Amazon Deals / Hello Kitty Pop-op Hamper Only $4.63 PLUS FREE Shipping! Hello Kitty fans will love this deal! This Hello Kitty Pop-op Hamper is Only $4.63 PLUS FREE Shipping! 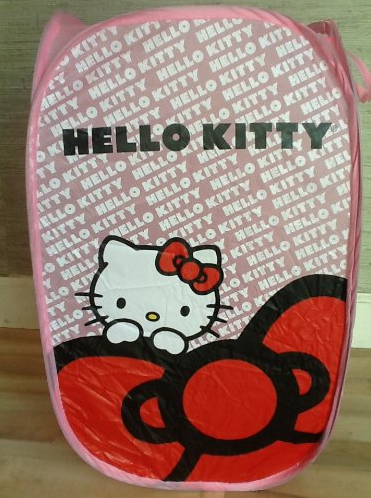 This is a great deal and would be perfect for a little girl in your life that is a fan of Hello Kitty!